Xbox Live's range of entertainment apps will now feature regular commercial spots. As Microsoft continues to gently steer the Xbox 360 towards being just as much an "entertainment center" as it is a games console, we're likely to see more and more hallmarks of non-gaming media popping up on our dashboards. To wit: Microsoft has today announced its intention to start peppering TV and video apps with 15-30 second commercials of exactly the type you're used to seeing on regular old television. This annoucement comes shortly after Microsoft revealed that U.S.-based Xbox Live Gold subscribers now spend more time using the Xbox's apps than indulging in its multiplayer gaming experiences. 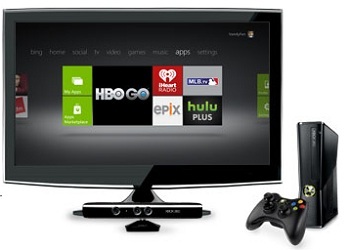 Concurrently, Microsoft has seen an increase of 142% in advertising revenue from Xbox Live over the past two years. "With the growth of Xbox Live, advertisers no longer have to choose between digital and TV advertising - we're offering the impact of TV and the interactivity and addressability of digital in one platform," commented Microsoft's Ross Honey, general manager of Xbox Live Entertainment and Advertising. "As more and more industry leaders like ESPN work with us to help monetize their content on Xbox Live, TV media buyers win with the ability to extend their standard TV spots to this highly engaged consumer audience," added Honey. The company also announced that an anime streaming service will soon be made available to U.S. Xbox Live users via Manga Entertainment. It was only a matter of time until the entertainment userbase on the Xbox became large enough to warrant the consistent interest of a broad swathe of advertisers; that time has now come. Just nobody suggest that one day we'll be able to pay to skip them. I'd get too freaked out.